The average ceiling fan uses as same power as 60W globe which would equate to around about 2 cents per hour in running cost as opposed to around about 3 dollars for the average size air conditioner. Most ceiling fans, if installed alongside an air conditioning unit will also help to reduce the air conditioner’s running cost by up to 40%. Ceiling fans are very cost effective way to cool a room and a very effective alternative to air conditioning. Not only because of ease of installation but also due to their running costs. 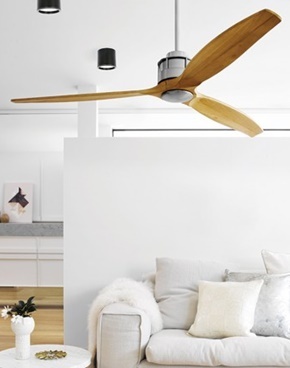 Most ceiling fans also come with a reverse mode for use in winter to help push your warm air back down to the lower part of the room and help you reduce your heating costs by up to 10%. 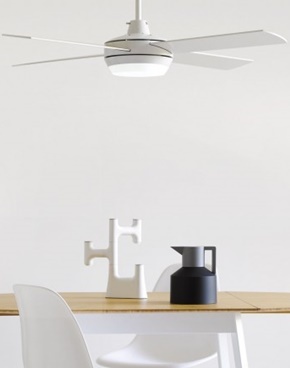 There are a very wide range of ceiling fans to suit most people’s budgets and styles. They can be installed indoors or outdoors according to their suitability. Ceiling fans can also be installed with a remote control or hard wired to speed controller. This makes the options of where they can be used and installed very wide. Crown Electrical can supply and install a ceiling fan for you or simply just install one that has been already purchased.